The sea environment is filled with natural sounds, although increasingly many anthropogenic sources have contributed to the general noise budget of the oceans. The extent to which sound in the sea impacts and affects marine life is a topic of considerable current interest both to the scientific community and to the general public. Scientific interest arises from a need to understand more about the role of sound production and reception in the behaviour, physiology, and ecology of marine organisms and how anthropogenic sound, including sound necessary to study the marine environment, can interfere with the natural use of sound by marine organisms. Public interest concerns primarily the potential effects of anthropogenic sound on marine mammals, given the broad recognition of the importance of sound in the lives of these species. 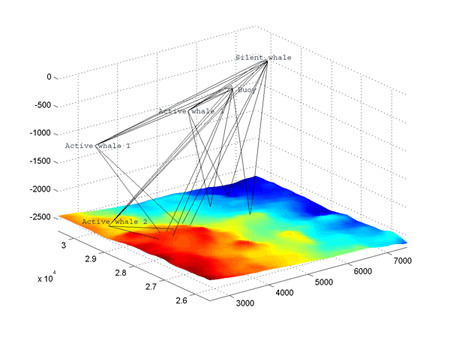 For acoustical oceanographers, marine seismologists, and minerals explorers, sound is the most powerful remote-sensing tool available to determine the geological structure of the seabed and to discover oil and gas reserves deep below the seafloor. The scientific as well as the public's interest in the impact of human-generated ocean noise on marine animals has greatly increased. Concerns include whether human-generated sounds may interfere with the normal use of sound by the marine animals or whether the human-generated sounds may cause the animals physical harm. Many aquatic animals use sound for communication between members of their species. But equally important is the fact that all of these species probably also use sound to learn about their environment and to survive. Therefore, there should be concern not only about the effects of anthropogenic sounds on communication but also about the impact on general extraction of information from the environment. A fundamental question is whether the impact of anthropogenic sounds on marine mammals and the marine ecosystem is sufficiently important to warrant concern by both the scientific community and the public. The data currently available suggest that such interest is indeed justified. However, our knowledge is still quite limited, and it is therefore essential to develop a program that will help to establish a scientific base allowing to 1) automatically identify and classify non biological and biological sounds, 2) monitor marine organisms and population dynamics, 3) assess and control the long term effects of anthropogenic sources on marine organisms. The "LISTENING TO THE DEEP-OCEAN ENVIRONMENT" concept directly addresses these objectives.